KC American Bistro is located in Pavilion Shopping Center in North Naples. Chef Keith sources the freshest seasonal ingredients to create a cuisine that reflects the variety of indigenous foods from around the country. The character of each dish represents the history, culture, and ethnicities of a particular region: the Heartland, Northeast, Southeast, Southwest, and Pacific. Tracing his culinary philosophy to training at the Culinary Institute of America and work with Roy Yamaguchi and Larry Forgione, Keith delivers a unique and memorable dining experience every night. This was an outstanding dining experience. The service was flawless, the drinks were a generous pour, and the food was magnificent. The crab soufflé was just one of the best things ever. It’s served with a silver queen corn reduction which is simply amazing. In fact one of our diners had it as her starter and again as her main. My husband had the scallops and the other two diners had the mahi special. Desserts, cappuccino, everything was excellent. The chef KC even took the time to make sure we enjoyed our meal. I can’t recommend the restaurant highly enough! In a nutshell.......the bread should of been warmer and crusty, the appetizer salad for $12 should have been AT LEAST twice a big or price cut in half, all of the 4 entrees served were just okay nothing great. No one finished their food as it wasn't as enjoyable as we remembered from last season. Even with the 1/2 off coupon we probably don't plan to return. Sorry for unsavory review! We always enjoy going to this restaurant but their pricing of drinks and menu items keeps us from being a regular. If your going I would encourage you to use a coupon and drink something other than alcohol. I don't understand why they sell two for one entrees instead of repricing their inflated daily menu. Always enjoy the food. However, would love to see some additions or menus changes. It’s been the same for the last two years or more? Service is not rushing you, sometimes feels like they have forgotten about you. Prices are good for the high quality food. Consistently good. Excellent gourmet menu, outstanding waitress (Marissa), and as usual an enjoyable dining experience. Very nice, presentable restaurant. Service slow. Hard to get server’s attention. Beautifully presented, excellently prepared food . Wonderful restaurant and generous with their special deals! Thank you! We had a reservation, and they were running a bit behind, but got us in before we even finished a drink at the bar - which had room! It is a fairly large room, with booths around back wall/front windows. We were seated in a back booth, and although it was fairly noisy, when we were at the bar, we could have a conversation in our booth. Also booths are low back so not claustrophobic! The food was excellent, wine list was fairly extensive and service was timely and courteous! 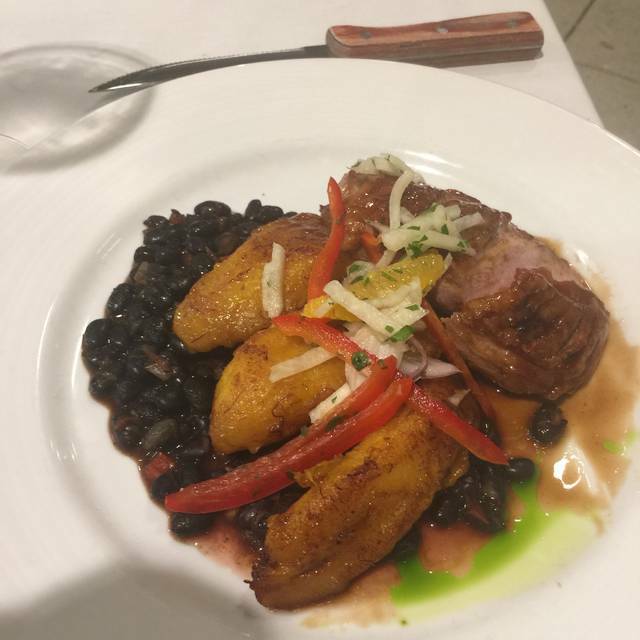 Food was prepared with high quality, fresh ingredients and was very tasty 😋 but fairly high priced...not out of line with other popular Naples restaurants! We were a party of 4 and everyone ordered something different and we were all very pleased. Hot, fresh, appealing and great taste. My Favorite Restaurant. Always delicious, and service is perfect!! Great Restaurant. Food was fantastic. We made a reservation day of for a Sunday night dinner. We were hosting a small group (6) from a convention occurring at the Ritz Carlton. Everyone was pleased with their meal and it was a nice ambiance for business conversation. Excellent appetizers-we made a meal of them! Outstanding service! 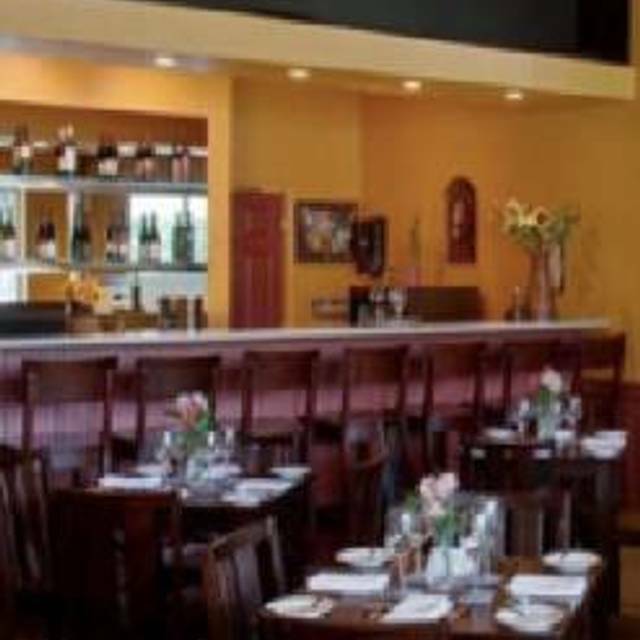 Although there are many places to eat in the area, you dine at KC Bistro. The service is immaculate, the food is delicious, best quality ingredients, perfectly prepared. No other restaurant like it for miles and miles!!! The food is prepared with some interesting twists. The off season two for one coupon makes this an inexpensive high end dinner out. loved the food - each of us raved about our choice for entree. Husband appreciates “white tablecloth restaurants”! Easy to converse with our table mates. Food was excellent. We absolutely love the atmosphere of fresh and yet one where you can have a conversation without yelling. The service was impeccable and our server was engaging and attentive and not intrusive, just the right amount of attention. The food was delicious and presented in a beautiful artistic manner. 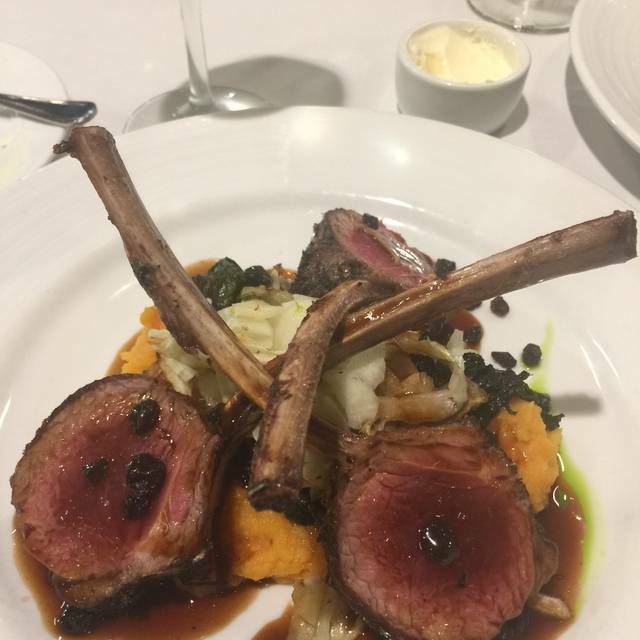 This is a regular on our list of great places to dine where the food and service always consistently exceed our expectations. Still our favourite bistro in the Naples area! The arugula & apple salad was fresh and delicious (dressed just right) and the Ahi tuna appetizer was super! Could have made a meal of these two dishes! Our mains of seared scallops & the Hawaiian Mahi - Mahi were great as well! Very nice meals for all 4 of us. Scallops, redfish, and salmon were all quite good. Service was good as well. First time visit and very pleased. Had an excellent snapper fish. Tables are far apart to permit quiet conversation. Can't wait to go back -- food was amazing! Watermelon salad and blue snapper were beautifully prepared and served. We had a very nice dinner. Service was fine. Prices are high. $14.00 for a cocktail. NY prices. I do have a pet peeve and it happened Monday night. The nice young man who delivered our water and bread/butter addresses us as 'you guys'. Servers should be taught never to use that phrase when serving a man and woman. Otherwise, very pleasant and expensive evening. We had a very good meal here. The service was very attentive and prompt, nice varied menu, everything was fresh, presented well and delicious. Prices were reasonable. Highly recommend. food was delicious and reasonable.. great wines too!!! We ate at the bar, at our choice because we were early for our reservation. Food and service were great, as always. We enjoy the food and ambience at KC's, but, unfortunately, there is no real option to eat outside. If you took some lessons from USS Nemo about how to create ambience in a parking lot, you would get many more people to come, as eating outside in Florida is a bonus for many northerners! Great food and service, though. Server very nice, but was not really with it. Some food was cold. No second offering of bread. I would definitely recommend KC Bistro to a friend because the food is always excellent! (Even though the noise volume is horrible, if one gets there early enough, it is tolerable. 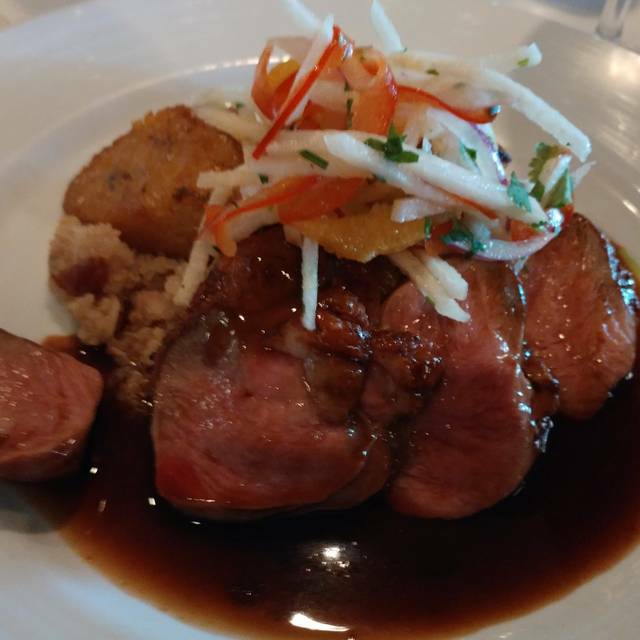 KC American Bistro continues to amaze us for quality+ food, especially seafood entrees. Service is always timely between courses w/o being rushed. Debbie did a great job serving us. Excellently prepared food, a nice varied menu, and friendly service.